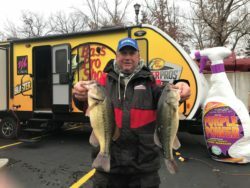 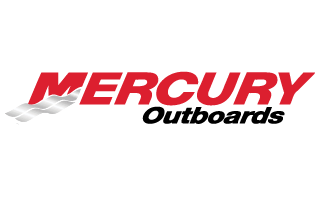 Legendary Lake of the Ozarks angler Mark Tucker won the 2019 Webb Outdoors Elite Series kick off on December 1 & 2, 2018. 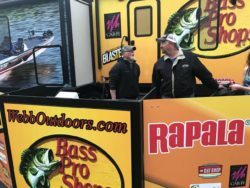 Tucker fished the first day without practice and ran to the upper portion of the Grand Glaize, going to the very back of a creek to take advantage of fresh water coming in from rains the night before. 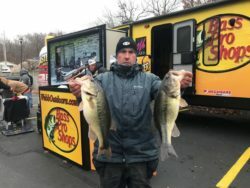 Tucker managed a solid four pounder on a spinnerbait in the back of the creek early but the bite slowed and he began to work his way out picking up two more keeper largemouth before leaving the creek. 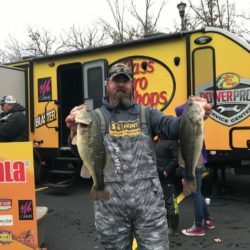 He left the creek pattern and finished his limit on main river bluff walls with a jig picking up two big spotted bass. 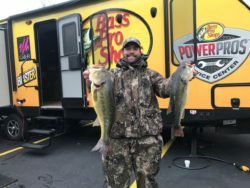 Day two Tucker returned to the Glaize, with no bites on the spinner bait tucker switched to a black Journagan Jig with a blue Zoom chunk and caught a five pound largmouth off a rock in seven feet of water. 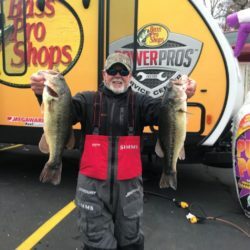 His bite slowed so he ran from the Glaize to around the 6 mile marker and targeted isolate logs and rocks four to six feet deep in creeks culling through seven keepers through out the day. 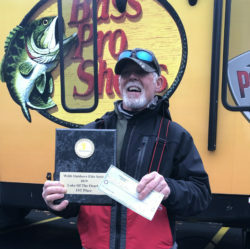 His two day total of 33.51 pounds earned him $4700 and first place in the tournament. 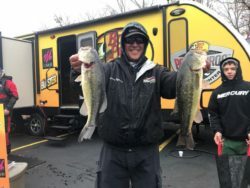 Second Place angler Matt Ells ran to the Osage on day one only to find out the areas he planned on fishing were muddy and full of leaves from the overnight rain. 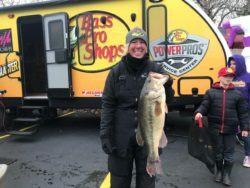 Ells abandoned the Osage and ran to the lower end of the lake and picked up a spinnerbait targeting fish suspended around boat docks to put together his limit. 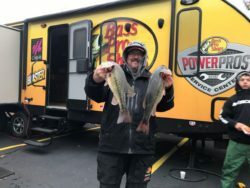 Day two Ells returned to the lower end catching a small limit on the spinnerbait early in the day. 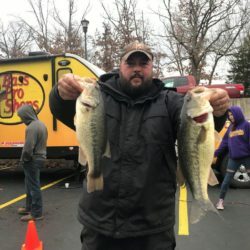 Knowing he needed better quality fish Ells switched to a jig and began targeting fish holding on concrete pillars around docks on secondary points. 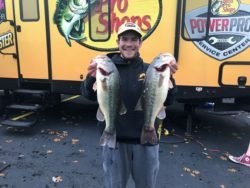 By the end of the day Ells had culled all of the smaller fish he caught early and put together a nice limit. 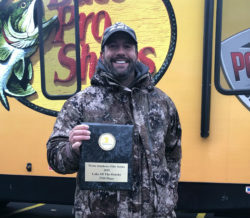 His two day total of 29.45 pounds earned him second place and $3575 in cash for his efforts. 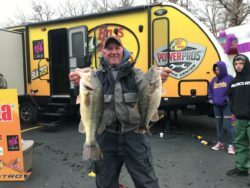 Third place angler Stanley green fished the lower end of the lake both days of the tournament. 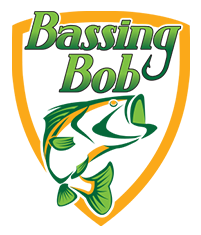 Green targeted fish on secondary points toward the back of creeks with a Wiggle Wart. 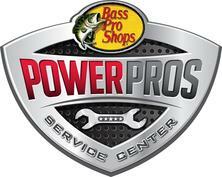 Green’s limits came from less than six feet of water but there ad to be deeper water close by. 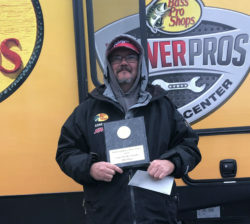 Green’s two day total of 28.45 pounds was good enough for third place and $1700. 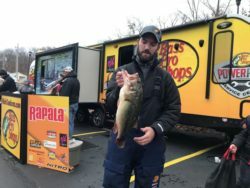 Rapala Big Bass award went to Caleb Spinks, the 6.57 pound largemouth earned him $575.